Transilluminators and Gel Imagers are designed for the viewing of DNA and protein in electrophoresis gels using UV or Blue light. Transilluminators and Gel Imagers, and accessories, from Benchmark, Labnet and MTC Bio are all available to meet your varied needs. 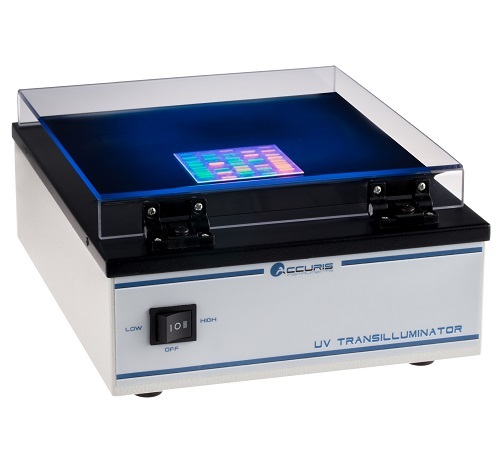 Click on the individual Transilluminators and Gel Imagers below for more info or check out our Transilluminators and Gel Imagers spotlight products. When it comes to Transilluminators and Gel Imagers, the Labnet Electrophoresis Transilluminator is a great unit to start with. With its dual intensity light source, the DyNA Light UV Transilluminator is suitable for both analytical and preparative work. The large viewing surface accommodates all popular gel sizes and the intensity of the DyNA Lights 302 nm UV light source can be adjusted to two levels, normal and low, at the touch of a button. The low setting provides a 20% reduction in intensity to minimize damage to nucleic acids during longer exposures. While the full intensity setting produces clear and bright illumination for documentation work. Large viewing surface - 21 x 26 cm. Dual intensity for analytical and preparatory work. Hinged cover protects users from UV light. Anyone looking for Transilluminators and Gel Imagers can’t go wrong with the SmartDoc 2.0. The illumination base emits an intense blue light with a peak output of 460 nm for optimum excitation of nucleic acids stained with green fluorescent dyes. 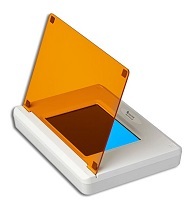 The orange cover fits on top of the illumination base and acts as a filter to absorb blue light, allowing visualization of the fluorescing samples. The cover can also be set at an angle for gel access and cutting out DNA bands for further study. Blue light is used instead of UV, which is safer for lab personnel and will not damage DNA samples. Imaging enclosure works with all common smartphones. The system includes a blue light illumination base. Ideal for common safe stains (SmartGlow™, SYBR Green, GelGreen™, etc.). Gel viewing and gel access for DNA band cutting. Imaging enclosure can also be used on existing transilluminators. UV Transilluminator for viewing DNA and Protein in electrophoresis gels. It features a space-saving design to fit perfectly in any busy laboratory. The illuminated surface is comprised of a special black glass which is easy to clean, durable and scratch resistant. Complete system developed to capture quality digital images of DNA bands with a smart phone. Bluelight is perfect for visualizing nucleic acids with the new fluorophors replacing Ethidium bromide. 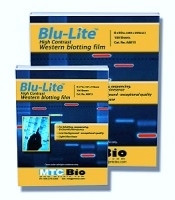 Blu-Lite UHC™ is MTC Bio’s newest line of high contrast, high sensitivity autoradiography film. Blu-Lite UHC film is specially formulated for an optimized balance of high sensitivity and low background. 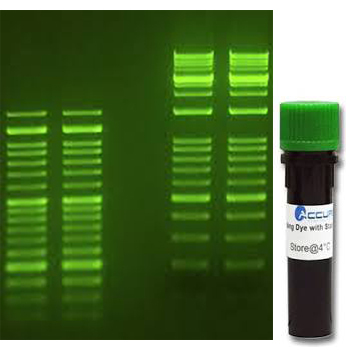 Benchmark Accuris SmartGlow DNA Stains are ideal for excitation of nucleic acids with UV or visible blue light transilluminators. Unlike EtBR, Benchmark Accuris SmartGlow DNA Stains are non-mutagenic and do not require special methods of disposal. 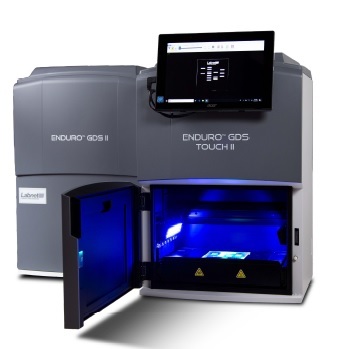 Labnet ENDURO GDS and GDS Touch Gel Documentation Systems combine performance and value. 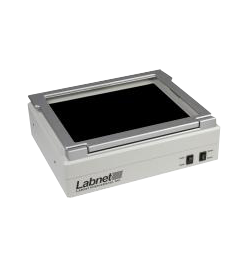 Labnet ENDURO GDS and GDS Touch Gel Documentation Systems offer exceptional resolution for the best image possible. Labnet ENDURO GDS II and GDS Touch II Gel Documentation Systems are an excellent new line of gel documentation systems. 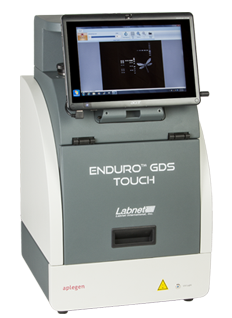 Labnet ENDURO GDS II and GDS Touch II Gel Documentation Systems bring together performance and value for a flawless state-of-the-art imaging system with the user in mind.